Successfully Added Quad Core Android 4.2 Phone "ThL W8 Beyond" - 5 Inch 1080p Screen, 440PPI, 1.5GHz CPU, 16GB Internal Memory (SPEC) to your Shopping Cart. 5 Inch 1080p Android 4.2 Phone featuring a brand new 1.5GHz Quad Core CPU, full 1080p 5 inch screen, and a 13MP Rear Camera and 5MP Front Camera. The “ThL W8 Beyond” is here, and faster than ever! ThL's already famous W8 has been upgraded with the latest MTK6589T CPU and the newly christened “ThL W8 Beyond” now comes with a whopping 1.5GHz Quad Core CPU and 1080p full HD screen, blasting its way through your apps. With more than 10 years of experience manufacturing Android Phones, ThL has managed to establish a broad customer base around the world and their latest flagship phone is definitely bound to impress. Clocking in at 1.5GHz, the brand new MTK CPU will power through your apps and make sure everything runs smooth. But there is more! The “Beyond’s” 5 Inch 1080p screen will display all your multimedia in full HD and deliver unseen results in terms of image sharpness. With a Pixel Density of 440 pixels per inch, you won’t even be able to distinguish separate pixels at a normal viewing distance. Rocking Android’s latest OS, Android 4.2, the “ThL W8 Beyond” takes the speed and simplicity of Jelly Bean to a different level. Coming with a completely new camera experience that’s beyond smart, a new form of typing that helps you power through your messages so much more, the “ThL W8 Beyond” truly goes above and beyond! Remaining unchanged, the extraordinary 13MP camera will still amaze you by taking sharp, always in focus images. And with 16GB of internal memory you’ll have plenty of space to store all those HD pictures, videos, apps and music. Naturally, the usual Bluetooth, GPS Navigator, 3G and 1GB RAM come standard! 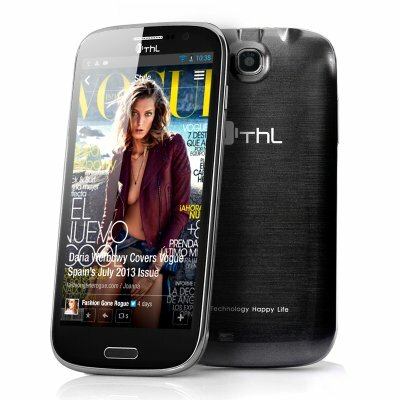 The "ThL W8 Beyond" is now available at an extremely low wholesale price. In stock, we guarantee next day shipping and offer a 12 months warranty on all our products. Brought to you by the leader in electronic devices and wholesale Android Phones, Chinavasion.